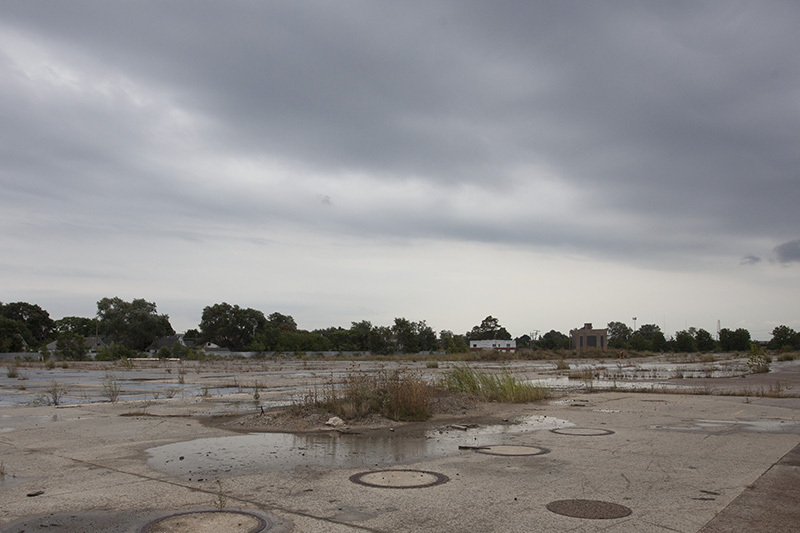 The corner of Wyoming and McGraw streets in Detroit was home to a large auto plant that went through several owners, including Saxon, General Motors, and Chrysler. 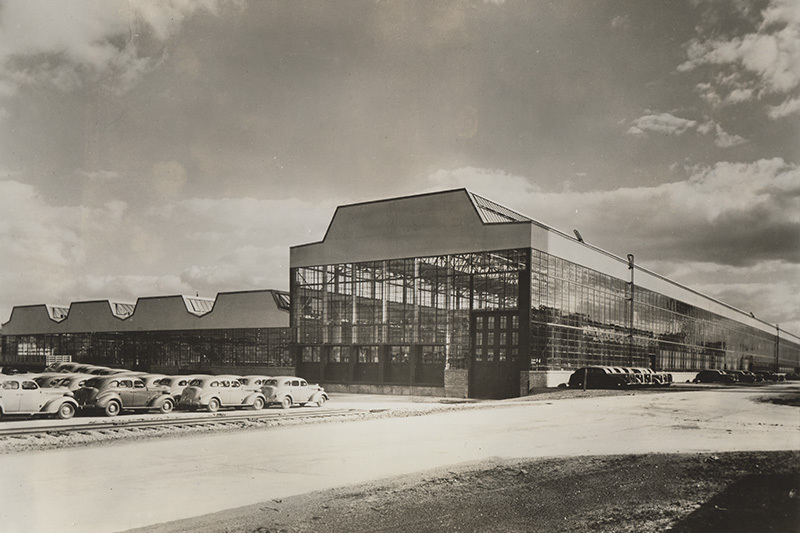 In 1937 Chrysler moved production of its DeSoto line to the factory and built the modern style addition above. The plant turned out DeSotos until 1960 when the brand folded, and was used by Chrysler to make automotive glass until 2003. The plant was demolished in 2011.